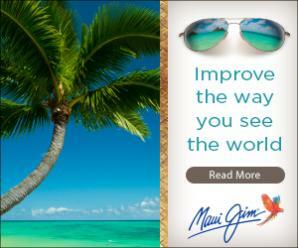 Maui Jim not only sells the highest quality sunglass lenses, but also keep to peak performance and fashion trends. Want to enhance the way you see the world? Maui Jim not only sells the highest quality sunglass lenses, but also keep to peak performance and fashion trends. There is a difference in high quality, premium sunglasses and Maui Jim has stylish and versatile options to meet any lifestyle. Created on the Hawaiian Islands to make the colors shine, Maui Jim sunglasses feature patented PolarizedPlus2® lens technology for brilliant color so every detail is crisper and cleaner and without glare or harmful UV. We asked our Bloggers to try out Maui Jim for themselves. Check out their experiences!